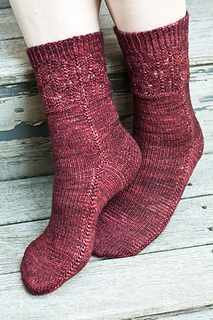 All photos copyright splityarn 2010. 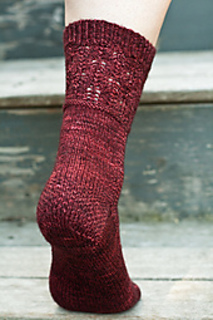 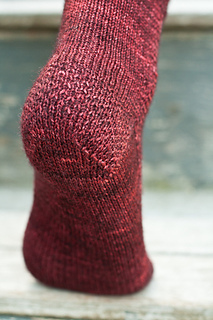 Pyromania was born of my love for socks with a little bit of interest, followed by lots of stockinette—perfect for bringing with me everywhere. 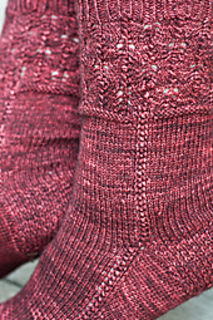 After the lace panel finishes, the only detailing is a decorative decrease (balanced out by some increased stitches) on the side. 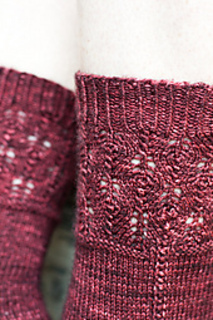 They are knit cuff-down, with an eye of partridge heel flap and a standard toe.